Four players reached double figures, including 20 points from T.J. Cline, but St. Bonaventure used a big second half to claim an 84-68 win over Richmond at the Reilly Center on Sunday afternoon. Cline tallied his fifth 20-point game of the season, also dishing four assists with five rebounds. Khwan Fore scored 15 points, including 13 in the first half for his sixth double-digit performance in the last 10 games. Fore added seven rebounds, including four on the offensive end. Terry Allen extended his double-digit scoring streak to 30 games with 12 points and seven rebounds, while ShawnDre’ Jones added 11 points. The leading assist team in the A-10, the Spiders tallied 16 assists on the game, but St. Bonaventure’s zone defense slowed ball movement, especially in the second half. St. Bonaventure was led by Marcus Posley and his 26 points and six assists. He energized the home crowd in the second half with a number of three-pointers and dribble drives. Dion Wright added 19 points and 14 boards, while Jaylen Adams had 18 points. 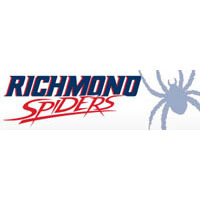 Richmond built an early lead in the first half off a 9-0 run capped by jumpers from Taylor and Cline. The Bonnies were able to battle back and take a 24-23 lead, but Richmond answered again with jumpers from Allen and Jones and Fore’s second three of the half, giving the Spiders a 39-33 lead at the break. St. Bonaventure started the half hot and erased the Spider lead with an 11-0 run. Richmond was able to hit a couple of three-pointers to stop SBU runs, but Posley hit several contested shots to keep the home crowd enthusiastic and keep the Spiders at bay. Richmond cut the deficit to just seven with 6:52 left after an Allen jumper and Jones three, but SBU answered with a basket from Wright and three from Posley. The Spiders return home for two games this week, starting with George Mason on Wednesday night at 7 p.m.